MINNEAPOLIS — Both Bob Dylan and former Grateful Dead bassist Phil Lesh have been playing rock music for almost 40 years each. At a recent joint show in Minneapolis’ Target Center, Dylan proved that he’s still a stunning live act, while Lesh proved that he still has something to learn. From the start, some critics have questioned the reasoning behind the pairing of Lesh and Dylan as co-headliners of a cross-country tour. The main reason is that Phil Lesh and Friends is a much weaker attraction than Dylan’s touring partners of late (Paul Simon, Van Morrison and Joni Mitchell). In many respects, however, this might be Dylan repaying an old debt. When Dylan toured with the Grateful Dead in 1987, his career was at its creative low point. Throughout the ’80s, Dylan released a series of uninspired albums, and critics insisted that his star had finally burned out. However, something happened on that tour with the Dead. Although the tour was a critical disappointment, a seed was planted in Dylan’s head. It seems that the Dead’s commitment to the road, their willingness to perform night after night, and their flexibility to include a wide range of songs in their concerts impressed Dylan. 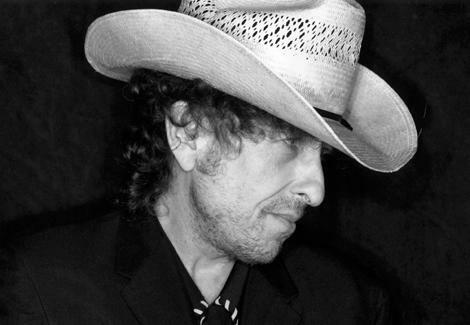 That next year, 1988, Dylan started what became known as the “Never Ending Tour.” If creating new songs was proving fruitless in the studio, Dylan was now going to remold and remake his older songs onstage. His performances now became his primary creative outlet. And he’s been on the road ever since. Dylan’s live shows are also in sharp contrast to those of his peers. While the Rolling Stones or the Who can be counted on to play their greatest hits, Dylan shows are always a wild card. He mixes old folk/country covers, his songs from the ’60s, ’70s and ’80s, rarities and newer material. Of late, he’s split his concerts into acoustic and electric halves, both backed by a group of sidemen. The centerpiece of Dylan’s acoustic set has always been “Tangled Up In Blue.” Written almost 20 years ago, the mostly biographical song about love, loss and the singer’s escape to life on the road is even truer now. The tune’s flurry of guitars also gives Dylan a chance to show off his own unique guitar prowess. The electric portion of the set kicked off Dylan’s most campy song ever, “Country Pie.” Although he never played it before this year (and it’s stayed the electric opener since then), “Country Pie” is a good-time groove. It also features some cutthroat guitar work from Sexton. During the song’s breakdown, he crouched down as he delivered a volley of pinched notes and then blasted into a squealing solo. In the middle of his set, Dylan dusted off another pair of classics that he rarely performs: “The Ballad of Frankie Lee and Judas Priest” and “If Not For You.” Although “The Ballad of Frankie Lee and Judas Priest” was not as chipper as the recorded version (it also lacked its bright chord changes), his lyrical delivery was suspenseful storytelling even if we knew the ending. “If Not For You” was unrecognizable but easily enjoyable. Next, he unleashed the electrified fury of “All Along the Watchtower,” and it brought the crowd to its feet. With Sexton’s screaming guitar and the sound of menace in Dylan’s voice, it was the four-minute soundtrack to the end of the world. Dylan’s one missstep of the night was when he tried out a bland version of his latest single, “Things Have Changed.” While the tangled acoustic guitars and thumping bass drum of the studio version held the listeners’ interest, all that delicacy was lost in the echo of a concrete arena. Each time Dylan and company left the stage, the strangest thing happened. In previous years, Dylan would give a couple of quick bows and take off. This time, he and the band paused for a moment. Gazing into the cheering crowd and soaking up the attention, they just stood there. While Dylan fidgeted, they remained for what seemed like an eternity before each turned around and headed offstage. It was very awkward, and the fact that it had been rehearsed (Campbell always left first, followed by Sexton, Garnier, etc.) made it all the weirder. As for Phil Lesh’s set, it was better than I expected, although it really was like watching a rehearsal. Minus any fanfare, the fact that they just strolled onstage made it feel like they thought of it as just a jam session. Focusing on Dead material and some ’60s covers as the core of their repertoire, Lesh and his Friends (which includes two members of Little Feat, keyboard player Bill Payne and guitarist Paul Barrere, along with drummer John Molo and guitarist Robben Ford) are heavy into jamming, and they effectively alienated a good portion of the crowd from the beginning. They started out strong with the intro to “China Cat Sunflower” but quickly veered into jamming. Actually, there wasn’t any singing until the third song, and that left the crowd precious little to hold on to. As a result, a steady stream of people began exiting the arena. By the end, only about half of the crowd remained. So far in the tour, critics have been fairly harsh on Lesh, even going so far as to accuse the group of “noodling.” But to be fair, a lot of the disappointment might have been from those who were expecting Lesh to hand-deliver a platter of the Dead’s greatest hits. The high point of Lesh’s set was a stark version of “Days Between.” The song was a concert staple for the Dead in the ’90s and was probably the last great song that Jerry Garcia and Dead lyricist Robert Hunter ever wrote together. And though the extended musical interludes pushed the song’s structure (and the audience’s attention span), Lesh’s deep but frail voice tapped into the song’s emotional underpinnings. One thing for which you can blame Lesh is the poor pacing of the show. The worst example was the band’s decision to play “Not Fade Away” -– a song designed to be a showstopper — as their second-to-last song. They inexplicably followed it with a pleasant-enough rendition of the Little Feat tune “Fat Man in a Bathtub,” but it was anticlimactic. At the show’s conclusion, it was really clear that Dylan is a genius. Not because of his songs or his 40-year career, but because he opted to play first rather than face an audience that he would have to rouse from a near-comatose state. While the remaining audience waded through Lesh’s set, Dylan was probably on his comfy tour bus and on to the next show. Tags: 2000, Bob Dylan, Minneapolis, Phil Lesh, review, Target Center. Bookmark the permalink.